Dallas Lawyer | Texas Immigration & Tax Attorney | Law Firm | Coleman Jackson, P.C. At Coleman Jackson, P.C., we employ a team approach to find creative legal solutions for people who have tax, litigation, or immigration problems in North Texas. Our Dallas attorney and staff of experienced, bilingual paralegals work together to provide a detailed and comprehensive yet sensitive and confidential approach to solving our clients' legal problems whether the problem involves taxes, contracts or immigration. Our managing shareholder, Coleman Jackson, has more than 20 years of experience as an tax attorney and counselor, contract litigator and immigration lawyer. Licensed as a Certified Public Accountant since 1983, he worked his way through law school and has been practicing law since 1989. Mr. Jackson's background as a Certified Public Accountant provides him with a deep understanding of the tax accounting theories, policies and issues behind many tax disputes. We are fluent in Spanish, Amharic and Tigrinya. Our staff members come from a variety of cultural backgrounds and we have a deep understanding of Ethiopian cultures and Hispanic cultures, which helps us understand our clients' cultural concerns. We work to provide a caring environment where you will feel comfortable sharing deeply personal information about yourself, your family or business with us. Whether you come to our law firm for assistance with an immigration or tax matter, you can expect the same comprehensive approach. Our staff members will conduct an interview with you that is designed to let us know all the important details about your case. It is important for our firm to know everything so that we can create the most effective solutions for your issue. Once we have collected your information, we will analyze your legal issue and find potential solutions based on your facts and the law. After discussing the potential solutions with you, we will proceed to attempt a resolution to the problem. You will meet with our attorney before we represent you, and we will provide you with a written contract. This helps you understand the specific legal services we are going to perform, what cooperation and assistance we will require of you, the costs and how we will be compensated. 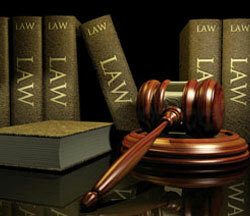 If you are ready to begin solving your legal problems, call 214-599-0431 or contact us online.